We are a specialty auto body shop focused 100% on repairing hail damaged vehicles in the Dallas-Fort Worth Metroplex. We only accept hail damaged vehicles in for repair that have comprehensive insurance coverage. All we do is hail and we do it well! 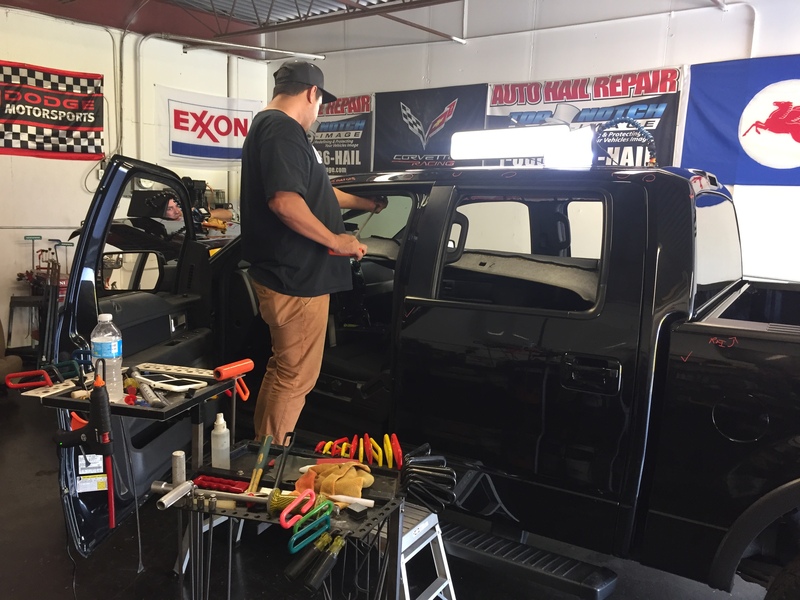 Our Paintless Dent Repair technicians are not interested in repairing door dings and minor dents. If you are in the market for a door ding, crease or minor dent to be repaired, we are not the shop for you. Our PDR technicians only repair insured hail damaged vehicles. If you desire a Auto Hail Repair shop that provides quality repairs and personalized service, then look no further. We might be smaller than some shops around town but our results are second to none. 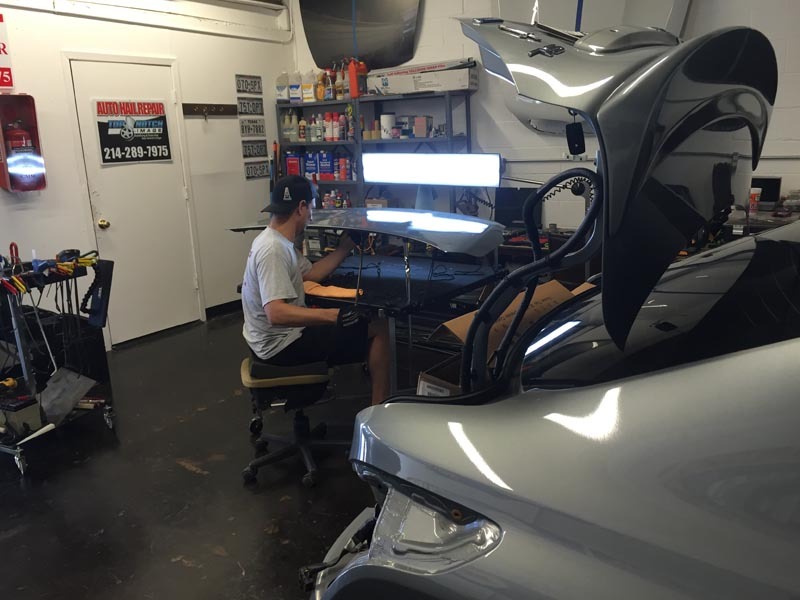 The Auto Hail Repair technicians that we have are certified and highly experienced in all types of auto body services including Paintless Dent Repair, glass replacement, automotive painting, molding replacement and conventional paint and body repair methods. We can quickly replace damaged moldings, repair cracked paint, replace panels on the vehicle (ex. hood, roof, fender, trunk), replace broken glass and provide industry leading Paintless Dent Repair to all vehicles damaged in catastrophic hail storms. If you have minor or severe hail damage on your vehicle from a recent Dallas-Fort Worth hail storm, do not hesitate to give us a call. We are auto hail damage specialist and take great pride in repairing vehicles damaged in catastrophic DFW Metroplex hail storms.